I cannot see the screenshot you posted. If you are talking about not receiving diamonds after a purchase, I will need your IGN (In-Game Name) and Server Name and Number, as well as a screenshot of your receipt. 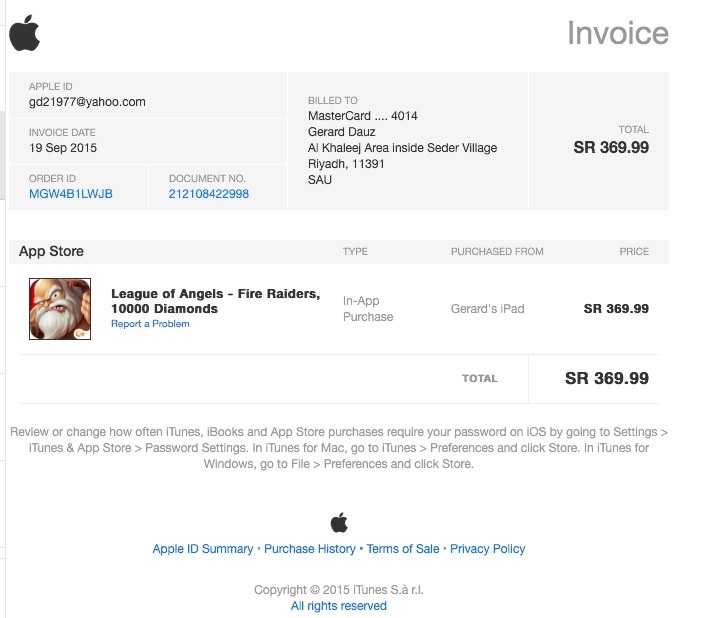 I have the same issue of purchasing diamonds yesterday September 19, 2015. I did not receive any diamond after purchase. Alright, thanks. I\'ve logged this in our report and flagged it as a priority since you\'ve been waiting a little while already, so hopefully a super moderator will be able to take a look at it soon! Issue is still not resolved. 2019-4-21 15:02 GMT+8 , Processed in 0.057902 second(s), 44 queries .